DEVELOPING STORY. RETURN FOR MORE UPDATES THROUGHOUT THE DAY. Today and yesterday, we have been following a developing story across Walt Disney World and Disneyland Resort. The topic? Price hikes to Disney food and beverage items around both properties. For example, Refreshment Port‘s food and beverage offerings now show pricing up to $1.00 more than it was at the beginning of the Epcot Food and Wine Festival on nearly every single item. 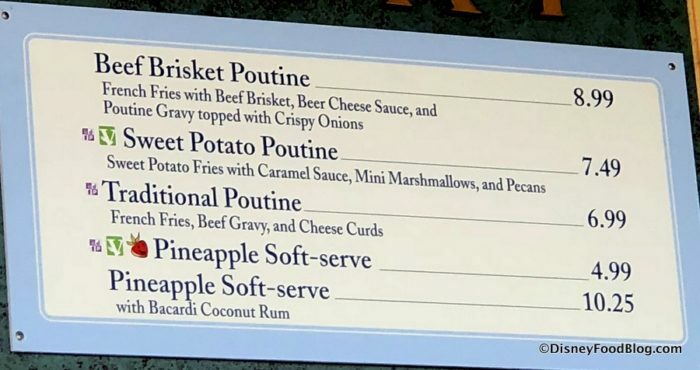 Get ready to pay more for your Poutine at Refreshment Port. Elsewhere, we’re seeing price increases mostly on beverages. At the Craft Drafts area of the Festival Center, we saw prices on all beers go up by $.25, and flights went up by $.50. The same price increases are in effect at the Light Lab booth. 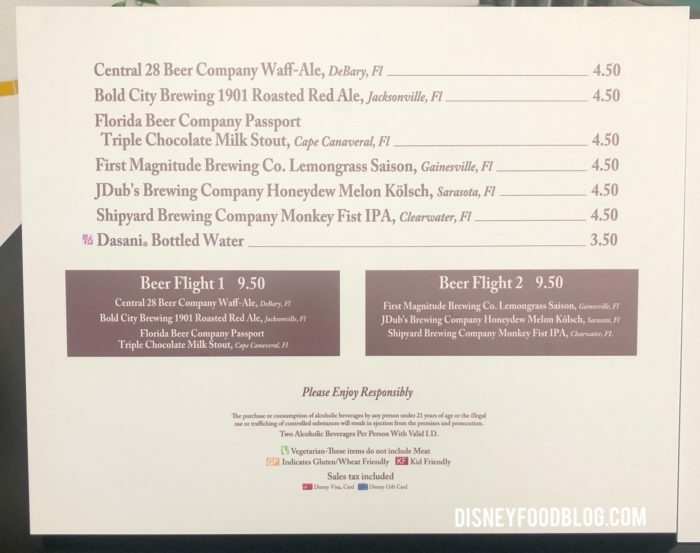 The price also went up on Dasani bottled water from $3.00 to $3.50 on all Epcot Food and Wine Festival menus (and throughout the Resort itself). 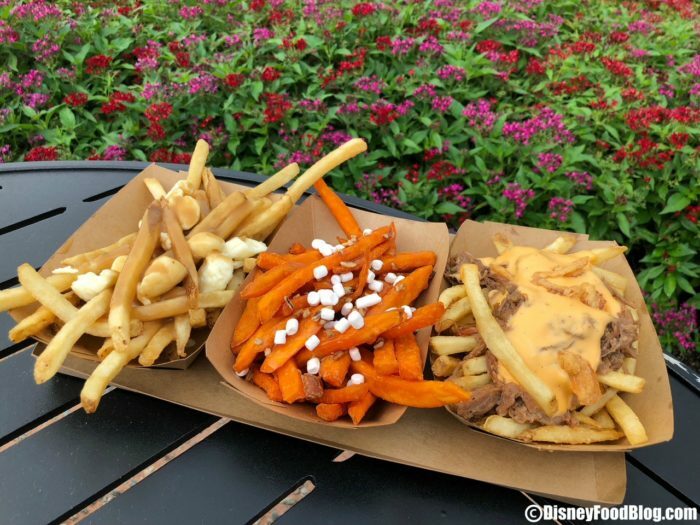 We are currently updating our 2018 Epcot Food and Wine Festival Food Booth Menus to reflect any new pricing to all of the food and drink items at the Festival. See full menus for the Food Booths with Pricing here. 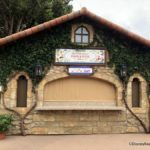 Ready to Plan for Your 2018 Epcot Food and Wine Festival Trip? 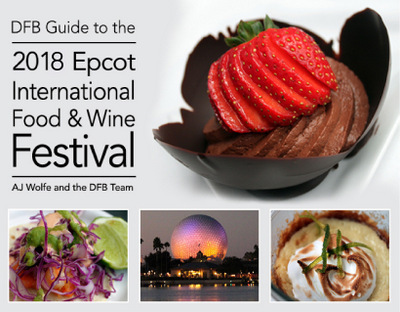 Order the DFB Guide to the 2018 Epcot Food & Wine Festival e-Book today! This 250+-page guide to the Festival offers insider tips and advice as well as all of the details you need to know to plan your best Festival visit ever. Order your 2018 edition today! Don’t miss a moment of the fun! Please let us know your thoughts with a comment! 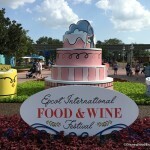 What You Need to Know BEFORE You Book Your Epcot Food and Wine Festival Events! 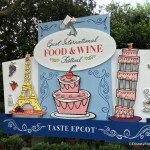 Top Tips for the 2018 Epcot International Food and Wine Festival! NEWS! 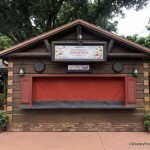 Epcot Food and Wine Festival Booths are IN THE PARK! Has the dinning plan gone up in price as well? Wow!! I’m literally speechless. I’m sad to say this will probably be our last time at Food and Wine in a few weeks because Disney is getting out of hand for what they expect people to pay for what basically amounts to samples of food. That being said, thanks for the prompt update and all you do to bring us the latest Disney news! With such a drastic price increase in the 2017 dining plan with the inclusion of alcohol many were considering if it were worth it. Seems as though this was Disney’s plan all along. What a bunch of crap!!! Thanks for the post AJ! when does it end!!! we are planning a visit in 2 weeks and november. the prices are high enough on everything ! we love disney and visit often ,soon many people will not be able to afford to visit. what a shame !!! Crazy, that they would change prices in the middle of the Fest. This is their way of raising money for the all the great cast members new hourly rate which they all deserve. Believe me, they are NOT losing any money. Still love to go but I was thinking about purchasing more DVC points. Not anymore! We were at Food and Wine last Thursday, Sunday and yesterday. We were rather shocked at our bill on certain items yesterday. Lots of cups of water being handed out ! I know I have see it mentioned (here or elsewhere) about the increase in fountain drinks to $3.99 at counter service locations. Husband and I noticed this week that it now costs $4.29 for a fountain drink at Table Service locations as well. Not sure how long/when that change went into effect either. Well I will be going 4 times over the next year. I’ve already decided that 1 of those trips will be off property to save on the cost of food. This just confirms that I made the correct decision. I think they will see more and more people bringing food into the parks as they continue to increase. Wonder when they will stop that???? Minimum wage is going to $15 per hour…how did you think Disney was going to pay for that? Increase the prices for everyone attending. I told my husband about this and he is ready to move our passes to Universal or SeaWorld…it’s getting so crazy with all the increased fees, even being a pass holder doesn’t amount to much. To raise price with no advance warning is ridiculous. People have bought tickets and budgeted for their trips and Disney decide to take advantage of these “hostages”. If that;s the way they value their customers I will be hard pressed to visit Disney in the future. Price increases should be announced with at least 90 days notice and certainly not in the middle of an event!!! I am so disappointed to see this, especially since we are leaving for the Food and Wine Festival in three days. I planned our items at the food booth and we were hoping to try most of the items at Refreshment Port but will now be rethinking that. I’m dumbfounded. Are they trying to reduce crowd levels by weeding all but the super-rich? Is the financial situation of the company so dire that they can’t live without the extra $.25/beer for the remainder of F&W? Or are they just blinded by sheer greed? Just as I did in my comment a few weeks ago, I find myself being compelled to say that I really am a big DIsney fan — not usually one that feels the need to complain. But recent decisions seem to be motivated by nothing more than $$ without regard to the impact on guests, which is not in line with the vision that Walt had. Disappointing. Wow. This is a little harsh on Disney here guys and girls. .25 a beer…maybe everyone can realize what a unique and special event food and wine is and just skip one pumpkin spice latte and that’ll cover the cost diff for a dozen beers. Being served a dish from someone who flew half way around the world to make it and serve it to me earns my extra quarter. Not happy that we are worse off now for choosing to visit later in the festival. The price hikes definitely should have waited till next F&W . So who did you think was going to pay for raising salaries to a minimum $15 per hour? Shareholders or Consumers? I can’t believe this either! The prices are already very high at Food & Wine – I just spent $100 there last weekend. Also, it’s interesting that they are increasing the price on water…which everyone needs with the record-setting heat we have had this year in Florida, and, to dilute the alcohol being consumed before driving home or to a hotel. I love Disney but lately each time I visit I see where they are catering more and more to the rich. This is really disappointing. We are visiting in 3 weeks and have carefully budgeted but across the resort for our whole family these increases are really going to add up. Disappointed that Disney would fo this overnight without any warning and to such an extent. If you were planning your food budget over the last few weeks, I think it may have just been blown out of the water. …oops pun… It’s more important than ever to bring a water container with you or take advantage of the free water. Guess we all need to chip in to help pay for those minimum wage pay increases. We were in Epcot yesterday and the frozen whiskey & coke at Refreshment Outpost was $12, up a dollar from what DFB had on the site. Today we were in Hollywood Studios and the Mickey Premium bar was $5.25, up a quarter from just a few days ago. What a shame that WDW is scalping the exact people that keep them going. I see a huge decrease in attendance on the horizon. I am going next week and had a budget based on prices already seen. 14.75 for a bloody Mary is ridiculous. The prices were high enough. So we will buy less and enjoy the pool more. What a bummer! We are going on our honeymoon in November, and we have been planing And budgeting for a year. This throws a big curveball. C’mon, Walt! We renewed our passholder tickets but I’m wondering if we made a mistake . We are on a fixed income so i guess we will just be spending less money eating at Disney . CJD: We’re watching for this and will share if we see it! I’m leaving for my first trip to Disney World since 2002 and this is seriously so frustrating! A one week trip is already going to cost more than our 2 week trip to Italy!! We aren’t even spending a lot on the resort and we are only doing TWO table service meals for the entire trip (not even signature dining)! I’m not surprised Disney has to find a way to rip people off more and more. My wife and I have been passholders for over 4 years every year we see a price hike in some form or another. Pretty soon they will b charging for the cups of water that they give out in the summer. It’s a shame they resort to price gouging!!!! Kinda on the bubble about renewing annual passes….well, the bubble just burst….we honeymooned at Magic Kingdom 39 years ago(just celebrated out anniversary at Port Orleans resort last week) but they’re just too expensive, I feel for the families being priced out of going,because it is a great place for families,but…..when it comes down to Disney World or the mortgage…guess what? This is not a surprise. Remember, they are increasing minimum wage to $15/hr and the same incremental change to those making more than minimum already. Disney will not suffer a margin hit. Wage and tax increases are ALWAYS passed on to the consumer. When you update the menus will you be making note next to them to show they have been updated? I have just over two weeks before my trip and and quickly reviewing all food costs to see if the DDP makes more sense for my trip. People say well it’s just 25 cents a beer but you are already paying $4+ dollars for what should be a full size pint and getting what 6oz? Disney has lost so much of its magic lately it’s sad and they dont care. They know people will still go. I just left Hollywood studios and people were buying water, ice cream bars,etc. We bring frozen water and really watch our money. Unfortunately Disney is not what it use to be,guess some things dont last. I’m sure now security lines will b longer, since more family members will b packing their own coolers.. as I do not blame them.. price hike is totally ridiculous. After the change to charge resort guests for parking, this is getting out of hand. Walt will be turning over in his grave again. Only the super upper class will be able to visit WDW in the very near future. Big mistak. Let’s not all forget that the Donald gave all corporations a massive tax cut. That is where the increase hourly wages should be coming from. Shame on you Disney World for your excessive greed! Yes, I get tired of price increases and new charge additions like everyone else, and I’m afraid that someday I won’t be able to afford even value hotels, but in all fairness to Disney, do you know how much it costs to run the place we love so much? It’s over $15 million a year just for fireworks and Disney makes its own! Every time we go to the food market, prices are higher, utilities keep rising, gasoline is constantly rising, utilites, medicine, per food, even just light bulbs keep going up. It cost a fortune for all of the Disney parks, transportation and resorts, etc. to keep going. If we want it, we have to support it. Jackie, we had a team member on the ground today checking every food booth and taking updated pictures of the menus. 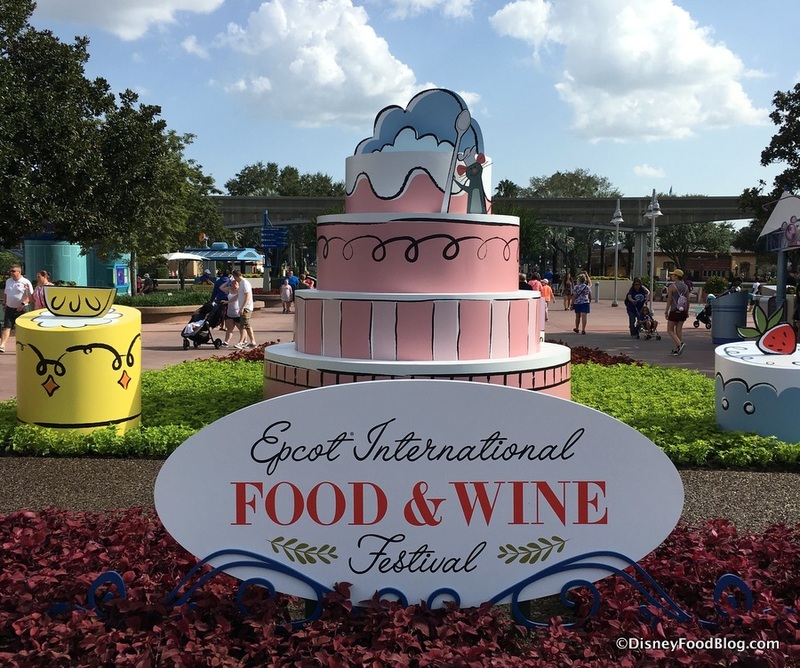 Food and Wine pages have been updated as of this afternoon, and we’ll keep checking back and making changes as necessary. Hope this helps! Have a fun trip! Disney need to stop!! It is becoming too expensive and it is such a shame! I am from the UK and me and my husband were making the trip every year but prices have increased so much we will not be going next year 🙁 – I am so gutted!! The last time we stayed at Disney we stayed at Port Orleans French Quarter and spent $2,100 just on food and drink for the 10 days! Breakfast, lunch, Dinner and snacks all at park prices was too much! That paired with an extra $200 to park the car was ridiculous! I love staying at Disney but it is getting harder and hard to justify the prices especially when there are now so many hidden increases that you struggle to budget for when you book a holiday a year out!! Please stop Disney!! I’m a believer that there is a silver lining to just about anything…it may cut down on the F&W drunks. I’m nearly in tears thinking that this might be my last opportunity to attend the F&WF or to visit EPCOT Center or WDW at all. It’s bad enough WDW has announced their new date based ticket pricing system, but now they’re raising F&WF food prices DURING the festival. Aren’t they making enough thousands of dollars on the festival food and drinks? And the ticket prices are ludicrous! The last time my husband bought tickets for the two of us and our son in 2013 just before our last WDW trip together. He died in 2014. At that time, not only could you pay an extra $15 on a 3/4 day Florida resident’s ticket for “park jumping”, but you could also pay $15 to make your ticket non-expiring, which we ALWAYS did. Living in South Florida as we do, we just couldn’t visit WDW in the hot season. With non-expiring tickets in hand, we could wait for winter and decide on a moment’s notice to go to WDW on a chilly weekend, barring the blackout dates. Around 2015, they quit offering the non-expiring ticket, even for extra money. If that weren’t bad enough, within a year or so they made all 3/4 day resident tickets (excluding annual passes, I think) expire 6 months from the first date you used it. So, if we were to have bought a ticket in, say, March and go for one day when the temperature was still reasonably tolerable, it would expire in September, making you probably unable to attend the EPCOT F&WF and definitely unable to visit for Halloween, Thanksgiving or the Christmas holidays. I have one day left on my last non-expiring ticket and I’ve been waiting a full year to visit with my son, his girlfriend and her mother. My first trip to WDW was to the Magic Kingdom in 1971 during the soft opening. And I know I’m no record breaker, but I’ve been to WDW easily between 15-20 times over the years. I’m so desolate that this may be my last trip. Being disabled on Social Security, it’s not like I have any chance of salary increases that might keep up little with WDW prices. I’m of two minds on this. I don’t like paying more money, but if some of these increases are helping working to get higher pay then I am all for it. I still despise the parking charge at hotels, however. That just seems unnecessary. I’ve been reading and watching all the new price hikes lately and definitely makes me sad to hear and very grateful I already bought my annual pass and paid for the dining plan this time around (each year varies for me on if I get the plan or not). I feel that this year was a good choice! Also glad I am a DVC member to avoid some of the extra added costs. Besides the MAJOR expansion the company as a whole has taken on over the next several years I kept thinking I’m sure it might have something to do with it. However, having to deal with major price hikes in my home town of Denver and listening to my friends running restaurants and other businesses the fact they can’t hire anyone for what we once could and need to pay a min of like $14+ and imagine they want/need to be competitive with wages to get people to show up to work and also support benefits, taxes etc. Everyone is experiencing the pressure of economic changes. I know it’s becoming harder and harder for native folks to stay in Denver. Thanks for all your recent reports and SOO looking forward to my first “annual” sister trip in less than 2 weeks!! I recently noticed popcorn refills went up to $2.00 from $1.75 too. Laura G.: Have a fabulous trip! I don’t like paying more either, but I’m realistic. The only direction prices are going to go is up. Let’s face it, it’s a privilege to be able to afford Disney at all. Those of us who get to go often are very fortunate. It seems silly to complain about a slight increase due to people making better wages. It shouldn’t break the bank and if it does, some rethinking of your budget needs to happen.